Do you come from a land down-under? I've just returned from Australia. The land of my birth but never my abode. My parents were £10 poms. They left swinging England in 1966 and headed for a possibly brighter future in Australia. Paying £10 for their fares they wouldn't need to pay that back if they stayed at least two years. They were headed to Toowoomba (they had relatives there). A really small town on the ridge an hour and a half inland from Brisbane. Dad was a photographer and had written to a handful of photographers asking for work. He'd had 3 or 4 job offers. Offers from places that didn't exist or remember him when he got there. They were down to their last few dollars when Mum got a job and then the old man got a job as a park groundsman. Leaving a culture immersed in eye-liner, beehives, mini-skirts and sharp suits and arriving in a (frankly) cultural backwater wasn't easy. They had a really tough time. I was born two years (nearly) after they arrived. They had to stay for 24 months or pay for the full price of their travel out there. So within months of me arriving they were on a cruise ship and heading back to England. I always wonder what would have happened if they'd chosen to live in Sydney or Melbourne rather than a very small provincial backwater. I suspect they'd have stayed. Dad would have found a photographer that really existed. I'd have been joined by more than my one sibling. But I wouldn't have met my wife or had the amazing kids I have. I'm glad they came back. I'm also glad they had me there. I, and my kids, have dual nationality as a result. Australia is a truly beautiful country. Full of incredible people. It is located in a perfect position to ride out the coming power-shift from west to east. It is full of resources and opportunity. I'll live there yet. It feels like the UK ten or fifteen years ago. Not from a fashion point of view but from a conspicuous consumption point of view. It feels a little greedy. This may be unfair. 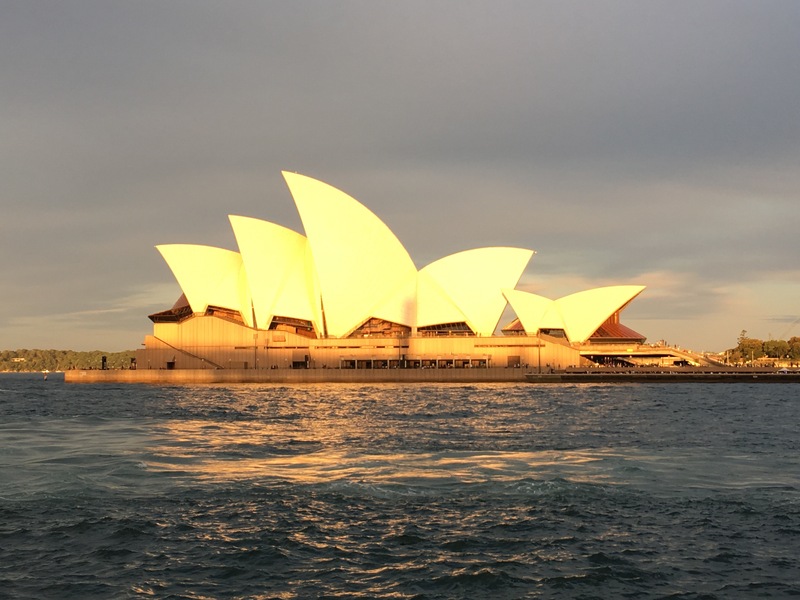 I only went to Sydney on this visit, and I split my trip between a few days in the southern beaches and a few in the CBD. The latter could have been any-city. Prada. Apple. Gucci. Mcdonalds. GAP. Omni-brands. Chinese investors everywhere. What was missing was Australia; was confidence in itself. An odd criticism to aim at a nation with a strong self-belief -at least in sport. Australia is beautiful. It's great. But it needs to find its own way. Not rush away from manufacturing to services. From growing food to importing it. Not embrace the worst of America and the worst of Europe. But to be the best of itself. To remember that it is rooted in resources but that the real value is in converting these to products, not selling them cheap to the Chinese; that it makes things, not just profits in real-estate. Innovation happens at the edges; where it's cheap to experiment. Sydney, like London; has no edge anymore. Nowhere to fail. Melbourne is the same. That's why Adelaide is the cool place to be. Innovators move to cheaper and cheaper places. Places where Chinese investors haven't bought-up tranches of property for investment; where dinner parties aren't dominated by talk of houses earning more in a year than people. Property never once built a great nation: people did. Maybe my mum and dad didn't get it wrong. Maybe that cultural backwater of Toowoomba is the new edge. Maybe they were on the money? I was in Sydney to speak at the Green Buildings Council of Australia (www.gbca.org.au) annual conference. It started averagely. It started with the status quo; with an industry congratulating itself for hitting green building codes. Disruption was the conference theme but it didn't feel disruptive enough. Then I spoke. I challenged the status quo. I challenged the idea of building "good" buildings and doing average (or even bad) things in them. My style is provocative and was just what the event needed. Don't get me wrong: it was a great event. But it was of it's industry: speakers were risk averse but wanting to fit the conference theme they retold stories of business-as-usual using words more associated with disruption. I get this, I really do. These developers had spent years investing in continual improvement and in measuring shades of better. It's not sufficient to do bad things better, we need to do better things. Sometimes you need a reminder that you can't fiddle whilst the world burns; that Australia still has one of the worst CO2 footprints per head of population in the world; that sometimes radical change is needed. That came on day two when a brilliant session on diversity followed a more radical session of short and inspiring talks. Words are beautiful; more words are not more beautiful. It was a great event and the organisers are brilliant. But the "industry" needs to move faster; to embrace, no seek-out, change. It's the same the world over. Innovation happens at the edges; by definition there isn't enough edge in the mainstream but the mainstream is needed for scale. The challenge is to create edge in bigger organisations. The GBCA are in a great position to do this.